Ladies, you don’t need to visit a spa or parlour to make your hair look and feel fabulous! Everyday ingredients lying around in your kitchen and a few minutes of your precious time is ALL that your hair wants from you! 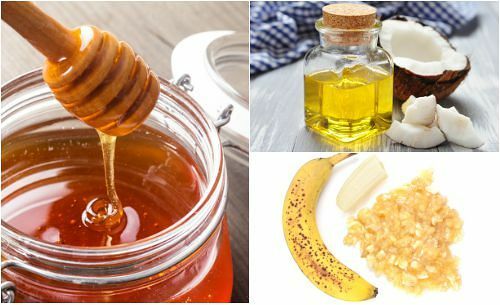 These best homemade hair mask will make your gorgeous locks strong, glossy and, most importantly, healthy. 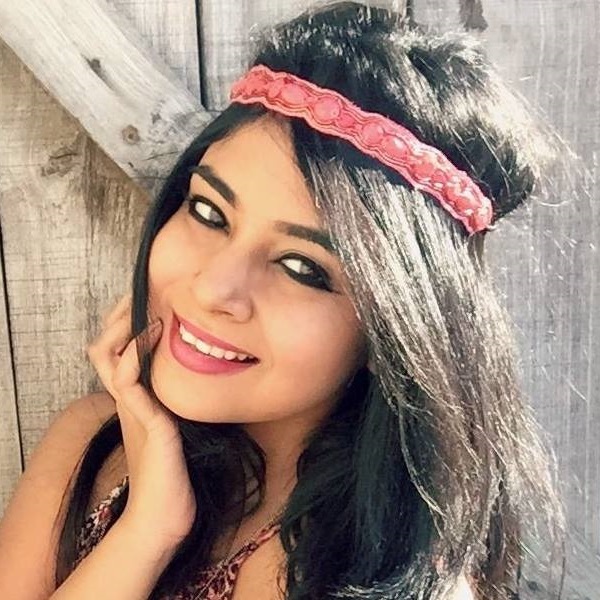 Here’s how to make the most perfect and amazing hair masks at home! Save money, save time - and save yourself any stress about your tresses! Avocados aren’t just an exotic fruit lying around in your vegetable tray! These magnificent babies can work miracles when they come in contact with your mane. If you have dull and dry hair, avocados are a perfect choice! They keep your hair silky smooth and hydrated. Step 1 - Scoop out the flesh of the avocado and dump it into a big bowl. Step 2 - Using a thick wooden spoon, mash it up. 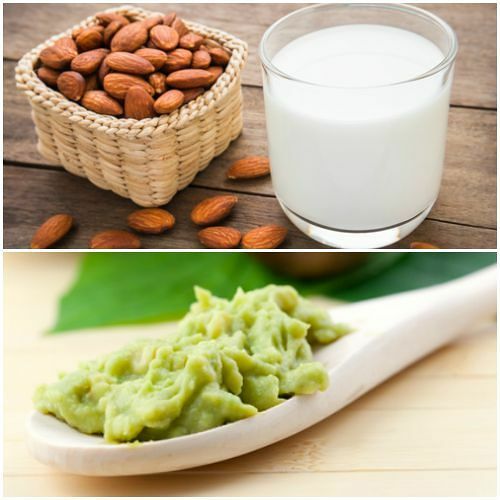 Step 3 - Add about ½ cup of milk and a tablespoon of rich almond oil. Step 4 - Now, give all the ingredients a good mix and apply it to your hair. Step 5 - Let it rest for 20-30 minutes and wash it off with lukewarm water. Pollution, dust, heat and products giving your mane a hard time? Sometimes all it needs is a little bit of yoghurt! 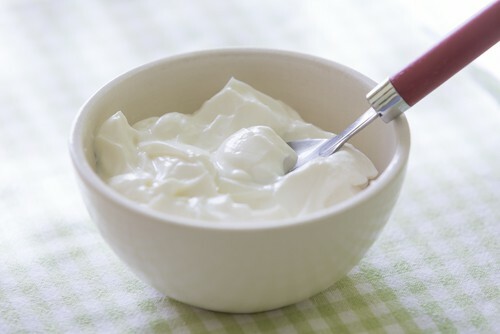 Yoghurt as a beauty ingredient nourishes your hair from the roots, gives it a smooth texture and, as a bonus, a beautiful sheen. Step 1 - Empty two scoops of yoghurt into a bowl. Step 2 - Apply it to your hair and massage your scalp well. Step 3 - Let it sit for 15-20 minutes and wash it off with cold water. Step 4 - After washing all the yoghurt off, apply your regular shampoo. Step 5 - Then, rinse the shampoo from your hair with lukewarm water. Eggs are extremely beneficial to your body and hair. The sticky yellowish-white substance offers deep nourishment for you roots, and repairs hair damage. It also makes your hair glossy and thick! Step 1 - In a glass container, beat 2 eggs. Step 2 - Pour a cup of milk, add a teaspoon of olive oil and a dash of lemon juice. Step 3 - Mix all the ingredients well. Step 4 - Use a thick brush to apply it to your hair. Step 5 - Let the mask set for 10-15 minutes. Step 6 - Wash it off using cold water, and shampoo afterwards. Ever wondered why bananas make a good hair mask? We’ll tell you! Bananas are rich in potassium and vitamins A, E and C. These nutrients are extremely important for healthy and glossy hair growth. It also regulates your scalp’s oil production and gives your hair the smooth texture it deserves. Step 1 - Toss 2 peeled bananas into a blender. Step 2 - Using a spoon, scoop out the pulp and empty it into a glass bowl. Step 3 - Now, add a tablespoon of coconut oil and honey. Step 4 - Dip the tips of your fingers into the mix and apply it on your scalp. Step 5 - Keep it there for 5-10 minutes and wash it off with chilled water. Oatmeal is not only a healthy snack for your tummy, it’s also healthy for your hair. 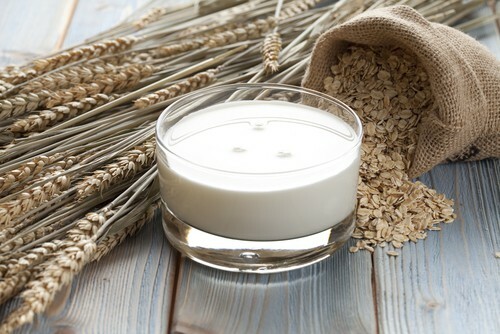 If you suffer from an itchy scalp or frizzy hair, oatmeal therapy is what you need ASAP! Step 1 - Into a bowl, add a tablespoon of oatmeal. Step 2 - Add chilled milk and almond oil to this. Step 3 - Stir it all up and apply it on your scalp. Step 4 - Let it sit there for 10-15 minutes. Step 5 - Wash it off with lukewarm water. 6. The Lovely Coconut Mask - For Nourished Strands That Are Oh-So-Strong! 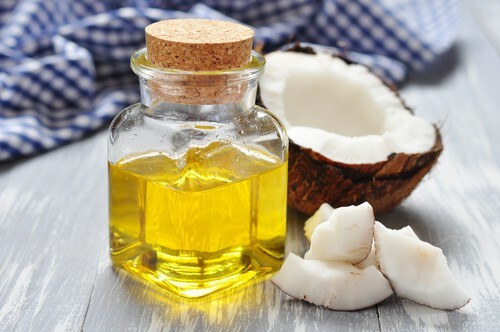 For damaged and dry hair, coconut does a FAB job. It makes your roots strong and provides nourishment to your hair. It also makes your hair glossy and less prone to hair fall. 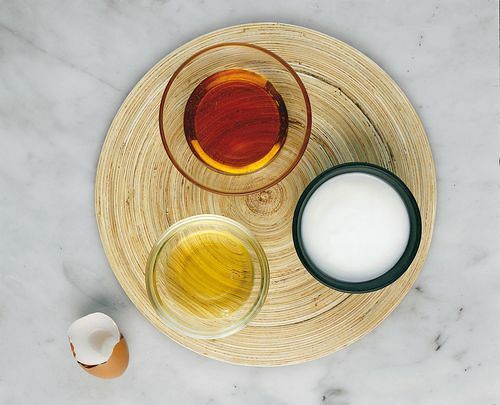 Step 1 - Pour 1 tablespoon of coconut oil into a bowl. Step 2 - Add a tablespoon of rich almond oil. Step 3 - Mix well and apply it to your hair. Step 4 - Let it rest for 15-20 minutes. Step 5 - Rinse it off with cold water. Images: Shutterstock MUST-READ: #HelloGorgeous: 11 Homemade Facepacks For Clear, Young Skin! MUST-READ: 17 Fab Organic Shampoos That WILL Make Your Hair Feel Softer!